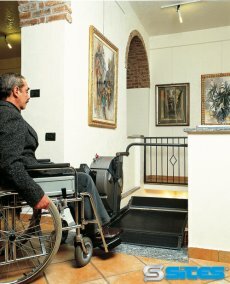 The MCP Platform Stairlift enables wheelchair users to climb or go down straight and curved flights of stairs. 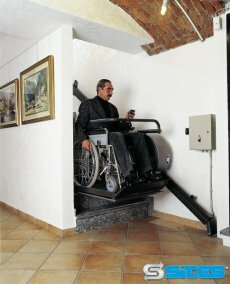 The mobile ramps connecting with the floor allow users to get and off the platform with ease. 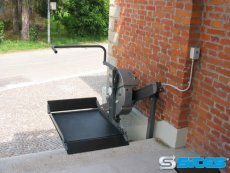 The platform can be folded away vertically when not in use so the space it occupies is reduced to a minimum. 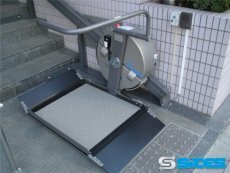 Equipped with touch sensitive safety devices under the platform and the machine body. 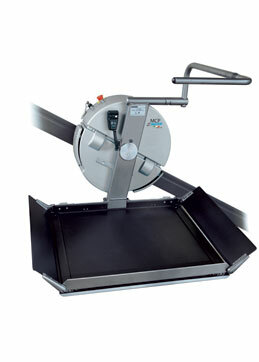 Smooth and rounded rail completely devoid of sharp edges or areas, requires no lubrication. 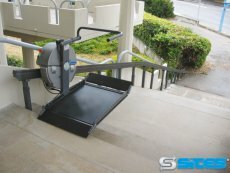 The MCP Platform Stairlift is ideal for installations both indoors and outdoors. 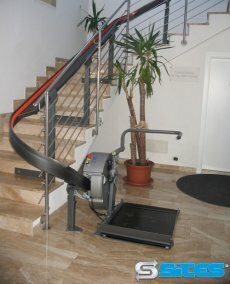 Product designed and manufactured in Italy.